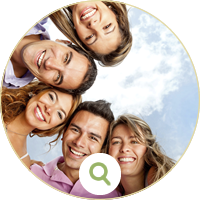 When was the last time you enjoyed your trip to the dental office? 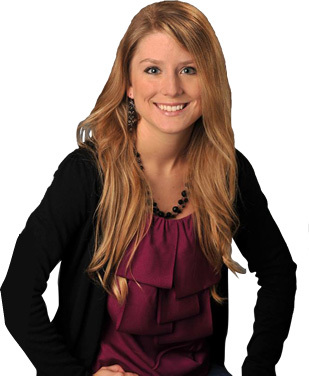 Colorado Springs dentist, Dr. Anjuli Borden, DDS has one goal in mind: to change the way her patients feel about their dental care. At Ridgeline Family Dentistry we do just that. Here, you’re not a number — you’re an actual part of our oral health team as we plan for the future of your smile. Ridgeline Family Dentistry is a female-owned, family dental practice in Colorado Springs. We’re not like everyone else, and you’ll notice that as soon as you visit us for the first time. We take our time with each person, working hard to create a relaxing environment for your entire family. 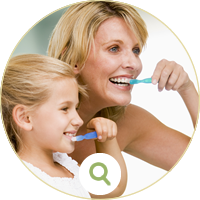 Rather than focusing on one aspect of dental care, Dr. Borden takes a holistic approach. 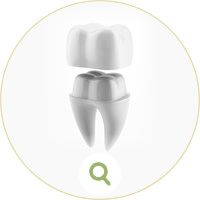 From preventative cleanings and exams to fillings and crowns, a range of comprehensive services are available right here. We also accept most insurance plans. Whether it’s your first time to the dentist in years, or you are someone who is simply looking for an office where you will feel more comfortable, we invite you to call us today to schedule your first visit with us. We look forward to meeting you and you’ll feel right at home with us! "I highly recommend Ridgeline Family Dentistry. Dr. Borden and her staff were welcoming, kind, and efficient. I’ve been looking for a dentist since re-locating to this area and Dr. Borden met all my expectations and more. She was gentle and thoroughly investigated the issues I was having." Very thorough and very gentle. Doctor was direct about my dental issues but not negative or derogatory or harsh. Made me feel good and relaxed, confident about changes I can make to help improve my enamel! You are all very professional, informative and most of all everyone has a smile on their face. It was a really great experience. I think I have found a practice I can use for a long time. Thank you again! So glad we found you guys! Wonderful interactions with all staff I encountered; thorough exam and everything was explained beforehand; overall excellent experience. My wife was right — you guys are great! Jessica is by far the most professional hygienist I have ever had. She was very friendly, listened attentively and gave very clear explanations. I highly recommend Dr. Borden and her staff. They are all very professional and friendly. A great overall experience from someone who really doesn’t like going to the dentist! I enjoyed my visit and you made it a great experience. The staff was warm, friendly, and very professional. First time going to a dentist in over 7 years. First appointment was great and everyone there helped put any nerves to rest that you may or may not have. The receptionist, Marybeth, went above and beyond to make sure my information was updated, that we had the necessary insurance data, and that my appointment was accurately scheduled. My hygienist, Jessica, was outstanding. And finally, Dr. Borden, who was extremely personable, did a superb job of checking and finishing my exam, going over the results, and explaining my dental health and options. Best hygienist I ever experienced…..very gentle. As long as I’m seeing you, my fear of the dentist is gone! Every single person I met was exceptional. Being super anxious and annoying, I was so worried, but it was a remarkable experience and I’m no longer afraid. The Dental Hygienist was very knowledgeable, thorough, and professional and Dr. Borden carefully took the time to show me what and why I needed work to be done. This was my first visit to the office and I was totally impressed! This office staff and providers always do an amazing job from customer service, dental services, and just all around friendliness. Thanks for being so thoughtful and professional. Very kind and personable staff. Most gentle cleaning I have ever had! Thanks for taking me on, service was excellent and on time. I loved the fact, the dental hygienist explained everything she was doing as she x-rayed and cleaned my teeth. She was gentle and very friendly. We all know it’s not fun going to see the dentist, my first visit with Ridgeline was a pleasant one. Very professional staff and environment, really seemed to care about my overall health. Jessica was awesome and Dr. Borden laid out a detailed course of action for my treatment. Thanks for a great first visit. Everyone was fantastic. Jessica was great. And Dr Borden took her time with me and very informative about my treatment. I felt like I was in very confident and professional hands. Very friendly staff. All staff took the time to answer questions and explain what they were doing throughout the appointment. Advice was informative and not pushy. Highly recommend Dr. Borden and her staff. Wonderful practice, the staff was so sweet and kind. Great Staff, they listen to what you have to say. Jessica and Laura both did a wonderful job. Also impressed with the interaction with Mary Beth. This is by far the best place I have been to. The staff is awesome and very friendly. The work was great!!! And they make sure you’re satisfied. I will be recommending Ridgeline to everyone I know. Very modern equipment and very personable staff. I can never say that a visit to the dentist is “enjoyable” but my experience at Ridgeline was as close as it could be. I will recommend Dr. Borden and her staff to my family and friends. I appreciate the patience and gentleness. I have a fear of dentistry and I did not have any discomfort with this visit. I am very happy to be a patient! A good experience with a group of caring professionals. Thank You!